Sh. 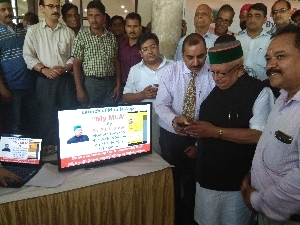 B.B.L Butail, Hon'ble Speaker, Himachal Pradesh Vidnan Sabha launched the "My MLA" Mobile App on 25th July 2017 at Palampur, in his Assembly Constituency. Speaking on the occasion, he informed the citizens that it is another milestone after making Himachal Pradesh Legislative Assembly as the leader among high-tech Paperless Legislative Assemblies by launching the e-Vidhan system. He thanked NIC and NICSI for providing technical support and connecting the constituents online. 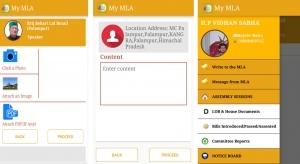 Using the "My MLA" mobile app, which complements the e-Vidhan system, the constituent may submit problem or suggestion to his/her MLA and know the action taken. In first phase, e-Constituency Management is implemented. Using this, the MLA is connected online with all offices of various Departments in his/her sub-division and know the current status of all types of works and other activities in the constituency. In the second phase, the "My MLA" mobile app is launched. Using this, the constituents may write to the respective MLA regarding their problems or suggestions and know the action taken online. The MLA may also send the messages to the constituent's mobile app. 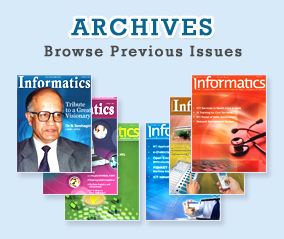 The constituents may also view the questions and notices raised by their respective MLA in the Legislative Assembly and replies from the departments. Using e-Constituency Management, the MLA either disposes or forwards the problem/suggestion of the constituent to the concerned office in his/her sub-division for action taken and updating the status online. 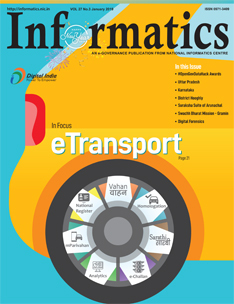 The App will be available on the website of the HP Assembly at http://hpvidhansabbha.nic.in and shall be available through Google Play Store and NIC eGov Mobile App Store.